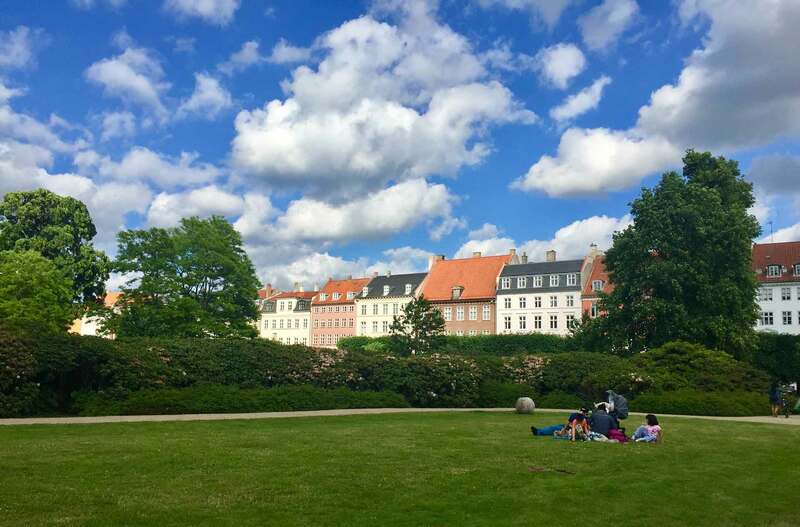 This is a guest post by our friends at Baby Golightly, who are proud to call Copenhagen home. If you’re like other families with young children and the means to travel, you might scour the internet trying to find the perfect destination for your much-anticipated Eurotrip. Well, parents, look no further. 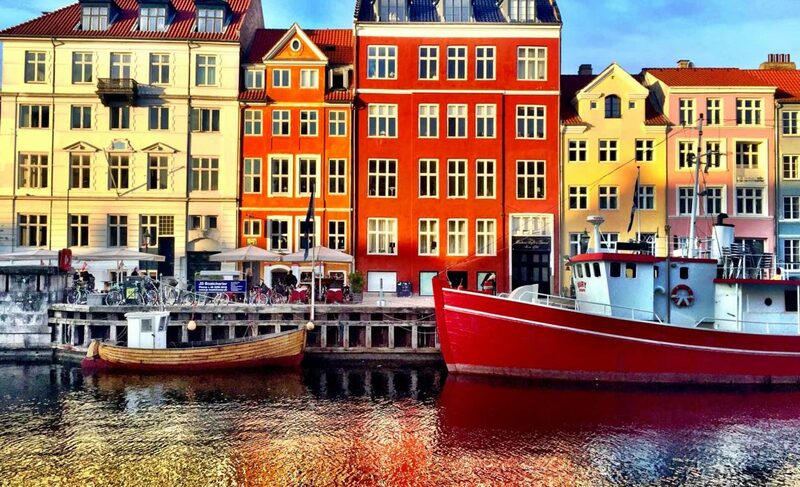 Equal parts kid-friendly and culturally rich, Denmark’s capital city of Copenhagen is your sure bet for a truly exceptional trip. Please excuse the cliché, but there really is ‘something for everyone’ in Copenhagen—as a centuries old city bursting with innovation, it represents the optimal balance of modernity and history. The city is interwoven with monuments dating all the way back from before the Middle Ages and arresting contemporary architecture is seamlessly incorporated within and around its historical centers. Every city that calls itself kid-friendly must have a zoo. The Copenhagen Zoo opened its gates in 1859 and has since grown to house over 3,000 animals. It has everything you’d expect from a zoo plus an array of special children’s events at any given time. Check the website to see what’s in store for your visit. Tip: The zoo’s map shows the locations of restrooms with changing tables as well as designated quiet areas for breastfeeding if you prefer a private place. Den Blå Planet (The National Aquarium) is only one metro stop away from the airport, so it is a great choice if you have a few hours to fill before flying home. The building itself is a manageable size while still maintaining Copenhagen’s archetypal clever aesthetic sensibilities. With 53 aquariums and installations, a water playground, and a beautiful cafeteria surrounded by water views, there is more than enough to keep every family member engaged, making for a memorable last outing in Copenhagen. If it’s the interactive animal experience the kids want, but you aren’t necessarily looking to expend the energy on a full day excursion, Byoasen is an ideal (and free!) alternative. Literally translated as “city oasis,” it is a small petting-zoo style park located in the trendy Nørrebro section of the city. They have goats, chickens, guinea pigs, and my personal favorite, rabbits. There is also a staffed-playground and picnic tables so you can be sure your kids play safe while you enjoy a cup of coffee. Just a few steps outside this little ‘oasis’ you will find boutiques, antique shops, and cafes. 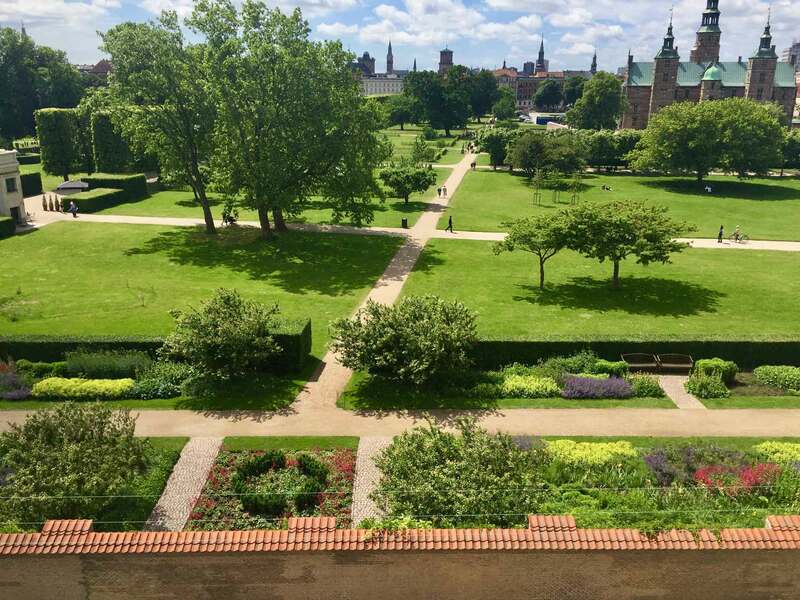 Copenhagen’s parks are a defining factor of the city’s green vibe. 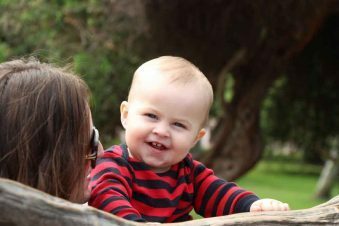 Deliberately and creatively designed playgrounds have been carved out within the bounds of many of these parks, adding to the overall kid-friendliness of the city. There are over 120 playgrounds throughout the city, and 26 of them are staffed with childcare specialists. 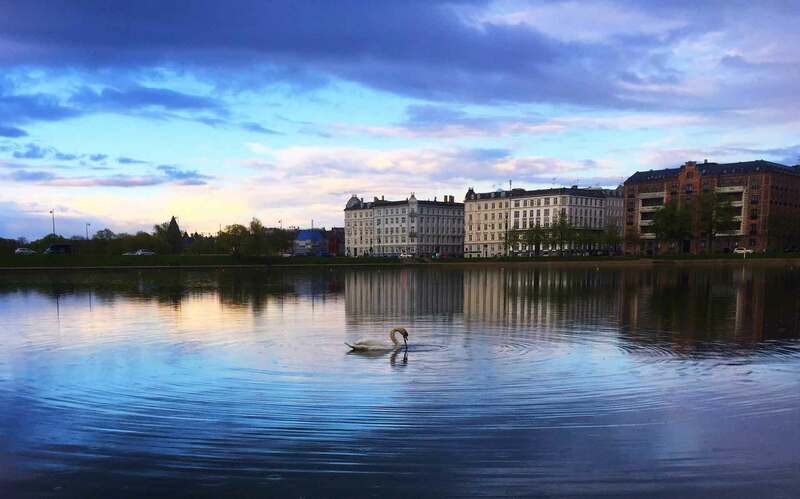 In Ørstedsparken, you will find sculptures, monuments, gardens, a gorgeous lake, and of course playgrounds. 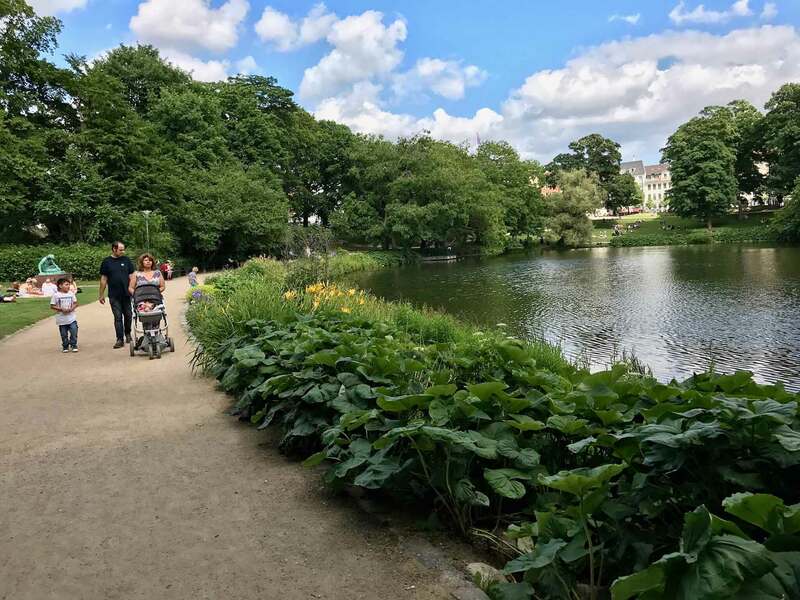 Some reviewers have called it “the Central Park of Copenhagen.” As a New Yorker myself, I can confirm this characterization. 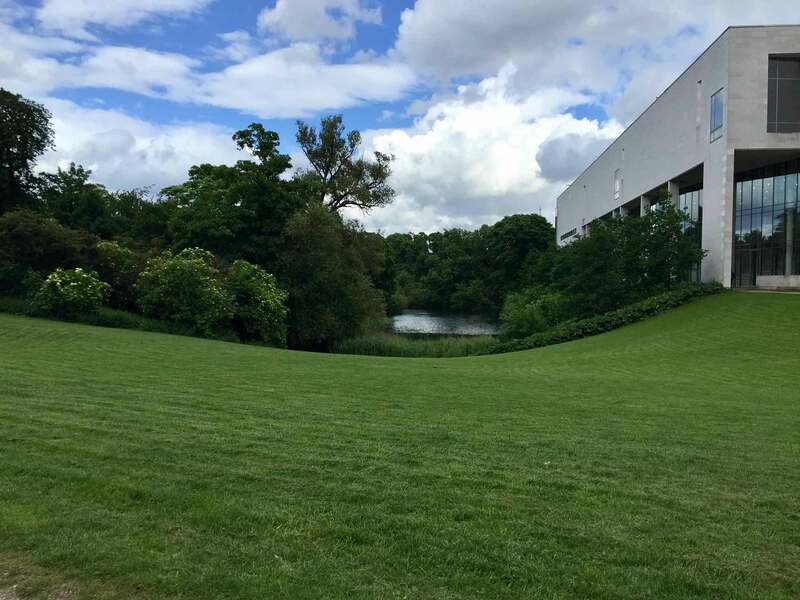 Like Central Park, Ørstedsparken is a place you’ll experience the vibe of its home city spread out over impeccably designed landscape architecture, with special features that you’ll discover only by roaming its grounds. 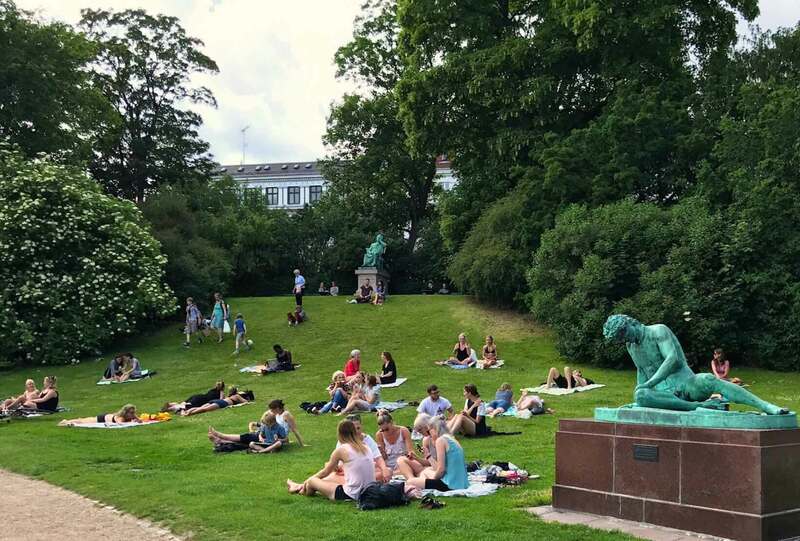 The park itself is small but perfectly proportionate to the size and population of Copenhagen. Just steps away from Ørstedsparken is Torvehallerne, a must visit spot for foodies, coffee lovers, and chocolate fanatics. This food market opened in 2011 and is comprised of two covered buildings with a courtyard in the center for fresh produce, a flower market, and outdoor seating. Once you make your choices, you can head back to the park and sit down for a family picnic. The spirit of royalty presides all throughout Copenhagen, but nowhere is it stronger than around its castles, moats, and palaces. 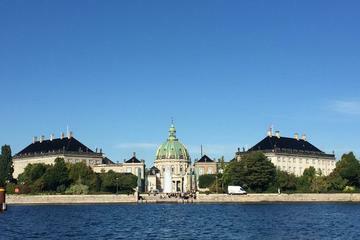 The family can experience this ethos in its most potent form by visiting Kongens Have (The King’s Garden). 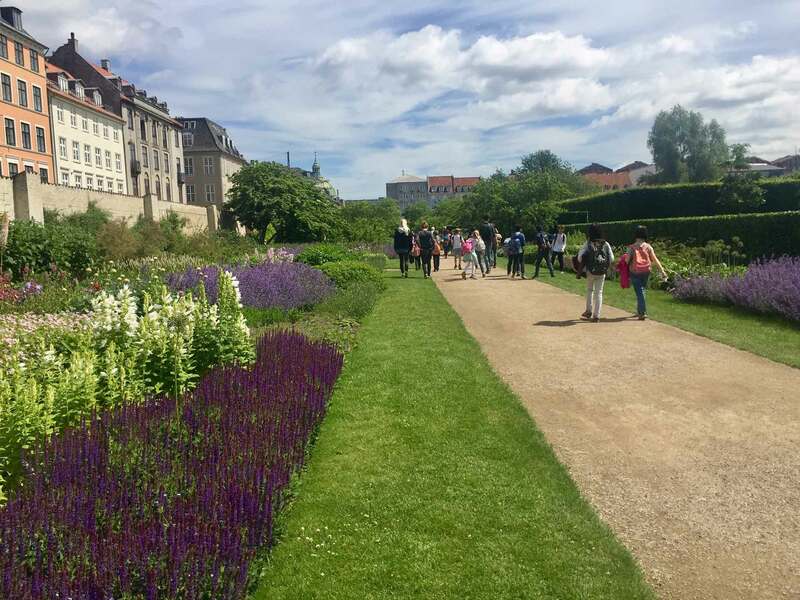 Kongens Have is a sprawling park with meticulously planned gardens, lawns, and monuments. There is a playground with close by bathrooms and changing tables, a kid’s marionette theater, and a charming café with outdoor seating. Tip: The puppet theater’s season is from June-August. Shows are free and performed twice daily (except Mondays) and run about a half-hour long. Check the website for exact times and directions. 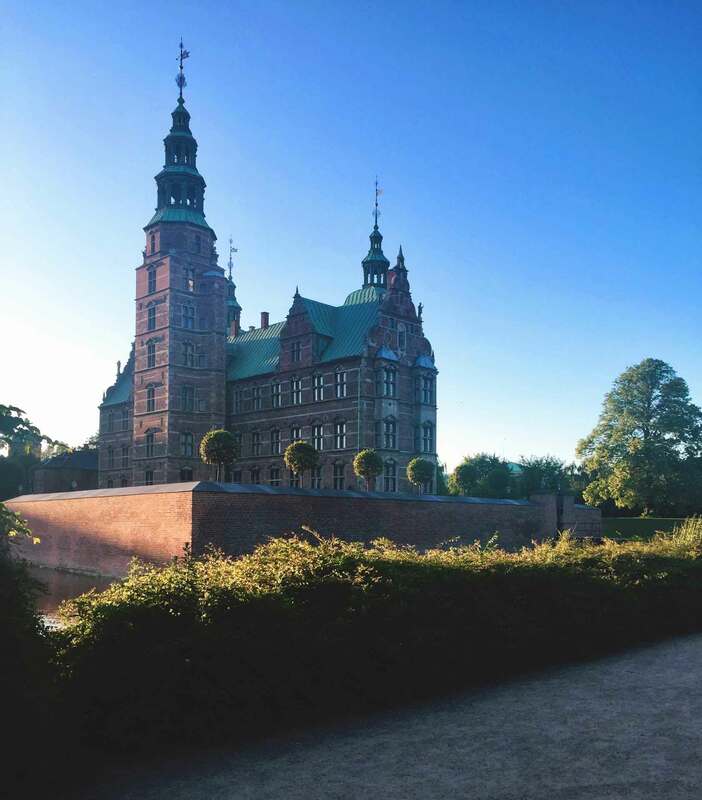 Other than taking in the natural beauty of the park, you can also see Denmark’s collection of crown jewels which are housed inside the Rosenborg Castle in the center of Kongens Have. 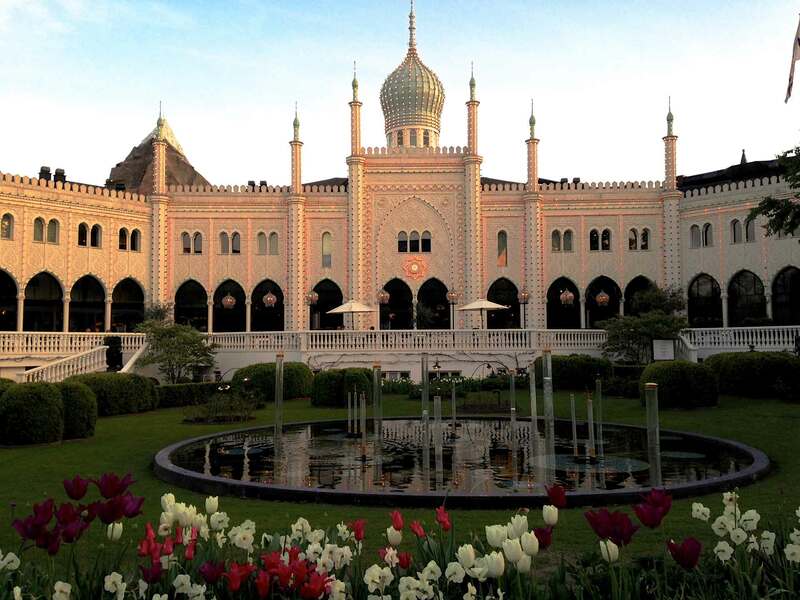 Admission is 110 Danish crowns, (approximately 16 USD), but children up to 17 years are free! 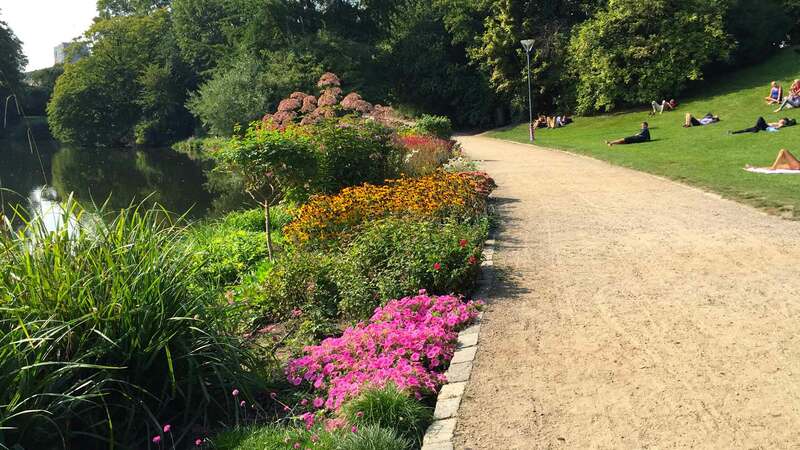 Just outside the castle is a rose garden enclosed by tall shrubs, and a mote with enormous fish and friendly ducks that are happy to watch the visitors passing by. Make sure you don’t miss the garden on the northeast wall of the park—it is a sight worth seeing. 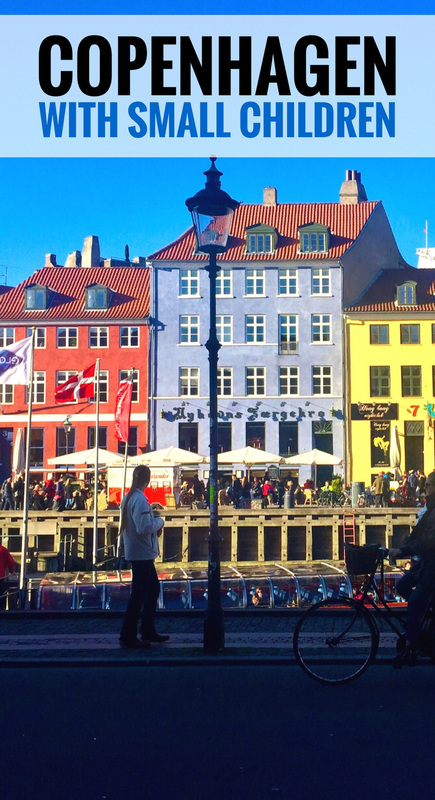 Perhaps the most iconic Danish landmark, Nyhavn is a must see for any tourist. The brightly colored townhouses retain their magical feeling from the time of their construction centuries ago. The backdrop of slanted houses and boats anchored in the harbor make it the perfect spot for taking photos of the kids. Hans Christian Andersen, the author of fairy tales and favorites such as The Ugly Duckling, The Little Mermaid, and The Princess and the Pea resided in three buildings in Nyhavn throughout his lifetime. 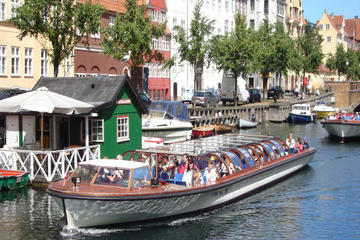 Going on a canal tour is a great idea for one of your first days in Copenhagen. It gives a fantastic overview of the city’s landmarks, but is also short enough so that is doesn’t try the patience of toddlers. You can buy tickets online if you want to plan your tour in advance. 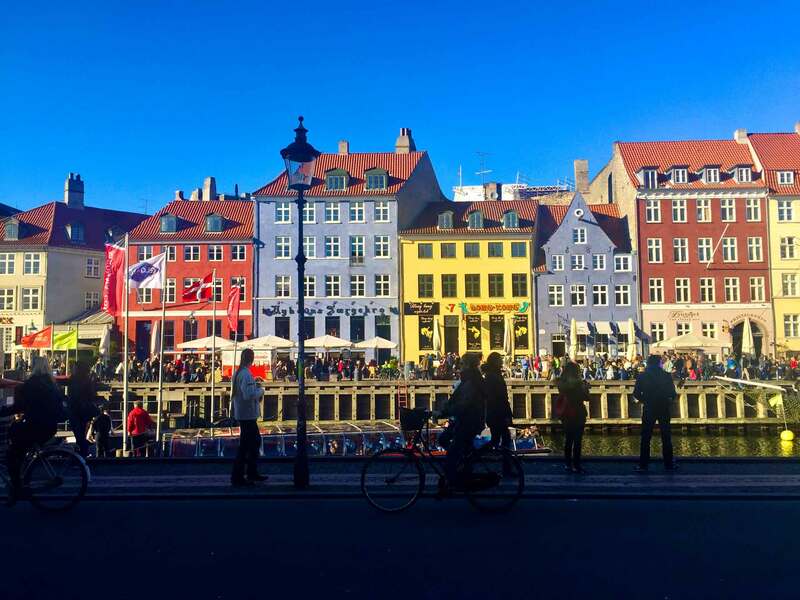 Nyhavn is lined with cozy cafes that offer traditional Danish cuisine like smørrebrod (open-face sandwiches) and liver pâté, and most of them also have some kid-friendly items on the menu for the less adventurous little travelers. If you’re traveling during one of the colder months, you can try gløgg, (the Danish take on mulled wine) as a consolation prize while the children sip hot chocolate. For the summer you can treat the kids to a waffle cone from the ice cream parlors and stands that can be found on just about every corner. 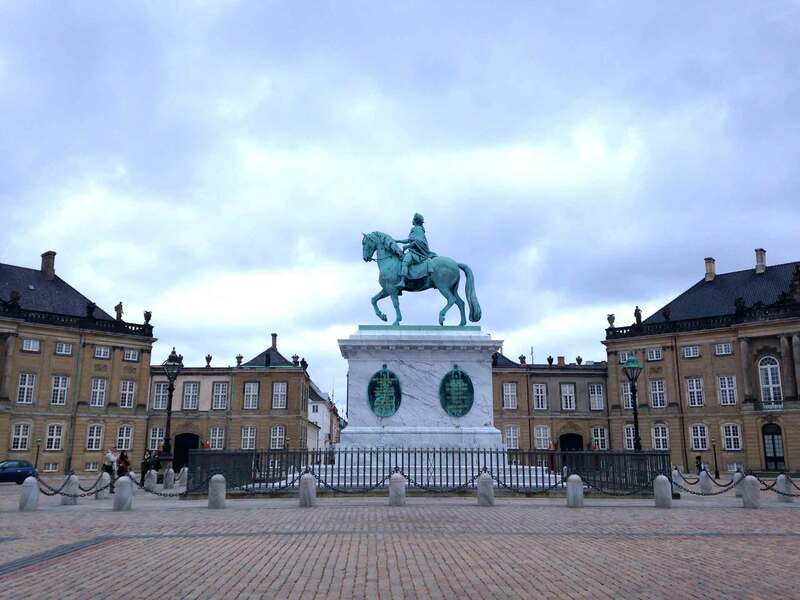 Just a short walk from Nyhavn, the family can experience the oldest monarchy in the world by watching the changing of the guards at the Amalienborg Palace Square. Everyday at noon there is a procession through the city as the uniformed guards march from the barracks to the palace. Often they are accompanied by their marching band making it feel like you’re part of a daily parade. The weather can be quite unpredictable in Denmark. Luckily there is more than enough to see and do inside while you wait out the rain. The Experimentarium is an interactive science and technology center for kids and families. It just moved to a new space in January 2017, located only 10 minutes outside of Copenhagen. The museum boasts 16 exhibitions for the ultimate hands-on learning experience. Some highlights include a “bubbelarium,” an interactive film theater, the labyrinth of light, and the tunnel of senses. The exhibits are targeted toward different age ranges, but they are each visually and tactilely enticing to minds young and old. Remisen is a free indoor play space with cool features you probably won’t find at your average playground. A zipline, fireman’s pole, and separate spaces for legos and crafts makes playing in this space a memorable experience for the kids no matter the weather. The outside of the National Art Gallery’s building is telling about what you’ll find inside—both contemporary and classic works of art. The architectural beauty of the building is twofold: Its original street facing façade is grand and ornamental while the newer building is clean and geometric, quintessential of modern Danish design. The new part of the building faces yet another one of Copenhagen’s parks, which is great for playing and bird-watching for after your museum visit. Children under eighteen years can enter the museum for free, and there are guided tours that are especially designed for children! 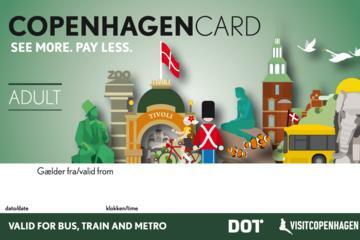 The Copenhagen Card might save you lots of money and time when it comes to waiting in lines and buying transport and event tickets. For the price of the card you get admission to 79 museums and attractions, and train, bus, harbor and metro transportation. It also gives you discounts on certain restaurants and entertainment. Do some calculations and estimations to figure out if buying the card will end up saving money on your family’s trip. Where quaintness and bustle occupy their distinct neighborhoods and corners of the city, they also coexist comfortably during city-wide events like culture nights and festivals. 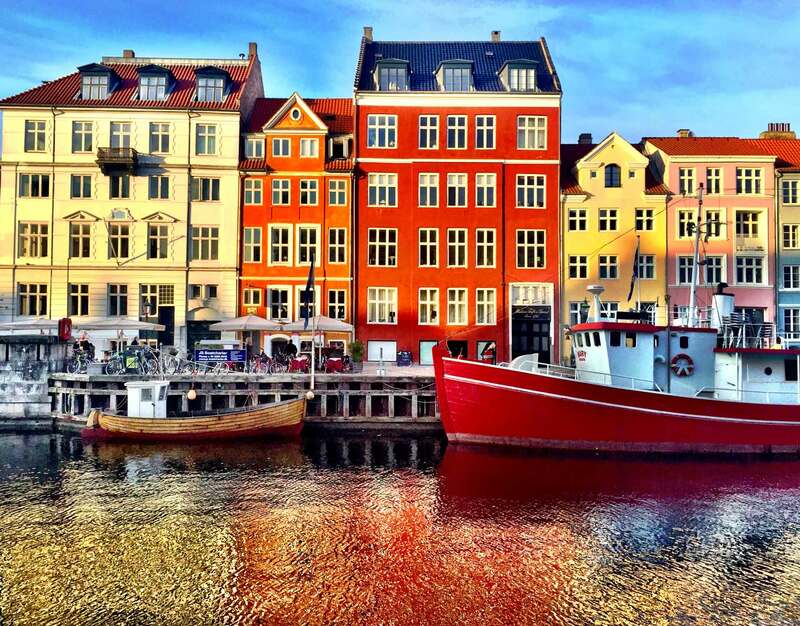 When you start planning your trip, check out Copenhagen’s official tourist website to keep updated on the gatherings and events that coincide with your stay. 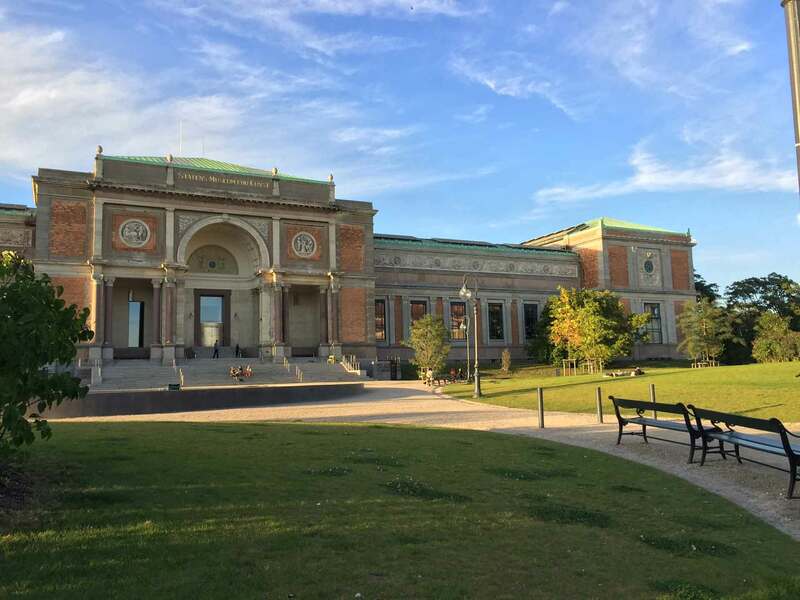 There is seemingly an endless list of excursions and attractions that are especially fun for little-ones and their grown-up counterparts in Copenhagen. The above outlined only a few, so be sure to continue your research and follow the links provided throughout the guide to make the most of your trip. Happy travels! As a traveling parent, renting baby equipment makes it easier to see the world with your kids. 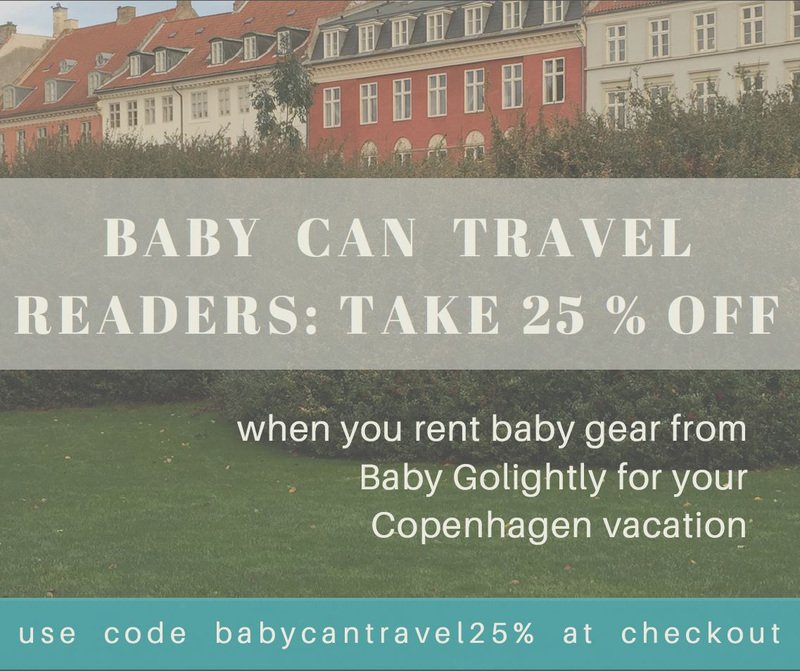 Baby Golightly lets parents travel without the burden of extra luggage or having to pay special baggage fees by providing clean and high quality baby equipment rentals. Tourists and their little ones from all over the world rely on us to help make their trips go as smoothly as possible when they come to visit our home city of Copenhagen, Denmark. Parents can easily book the equipment they need through our online booking system, where they can choose to rent anything from strollers to toy packages.